Elan Motorsports Technologies announced its IMSA Lites contender yesterday (February 16), the Elan Van Diemen DP02, with the additional news that the new chassis has moved into volume production at Braselton. The DP02 has a carbon tub, is powered by an Elan Power Products-developed Ford Duratec 2.3 litre engine (2,500 mile service life), has a six-speed sequential Hewland gearbox, and is available for $73,000, excluding dampers and ECU. “I know we are going to be selling a lot of these cars!” says Elan Motorsport Technologies CEO David Bowes. “The DP02 has been a revelation in testing at our nearby Road Atlanta facility – quick, reliable and ‘excellent to drive’. “Where we really score with teams embarking on the IMSA Lites Series trail is in customer service and at-track engineering capability. Some of our best engineers have been involved in the design and build of these new cars, and they will be at every race with a full support package, along with a full spares service direct from the factory. So whatever the race weekend brings, Elan’s engineers and spare parts experts are there to get you back out racing”. 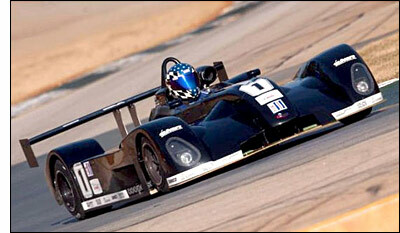 The IMSA Lites Series should feature three chassis brands in its debut season: Elan Van Diemen, Radical and West.